Tulsa City-County Library unveils another shiny, new thing. Just a month ago, library CEO Gary Shaffer was on hand to open the newly renovated Central Library in downtown Tulsa. "But, as you know, there are many people that can't make it to a library, either because of disability, mobility issues, transportation issues — so, we felt it important to also introduce a new bookmobile at the same time," Shaffer said. 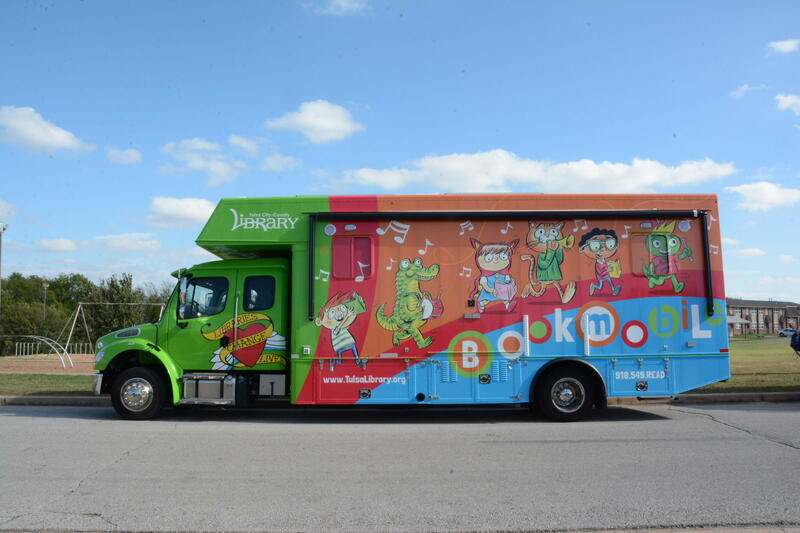 The new bookmobile is a state-of-the art, 28-foot, roughly $500,000 vehicle. One of the features Shaffer likes is carts that come on and off the bookmobile, making it easy to switch out the collection on board. "So, say we're going to a farmers market on a weekend, we could switch out and put gardening books and other healthy eating books or cooking books and whatnot on the bookmobile, and it's fairly easy to do," Shaffer said. The new vehicle is a boost to the bookmobile fleet, which previously consisted of a secondhand vehicle that was in the shop a lot. "Number one, this one runs, but also, staff spent a lot of time meticulously designing this, working with the company that manufactures these," Shaffer said. Besides a wheelchair lift for disability access, the new bookmobile has self-checkout machines, TVs and a mobile stage. The vehicle was paid for through the library trust, largely through a donation from philanthropist Ruth Nelson.